Do you need a little blessing this weekend? I saved some of my favorite posts from the week that have a "Mother's Day" theme. If you're still looking for gift ideas, a few of these may help you out, or you can save them for next year. ~I just love the sweet simplicity of this handcrafted Mother's Day card from A Little Lovely. 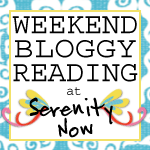 Thanks to Jane over at Finding Fabulous for sharing the link with her readers! ~Mary Joy's post on The Proverbs 31 Woman was an excellent reminder to any woman that Jesus has your back...be the woman He wants you to be! ~Richella plays favorites with her kids and shares what she learned from each child in a guest post for 320 * Sycamore. ~You'll flip for Michelle's Mother's Day Brooch. 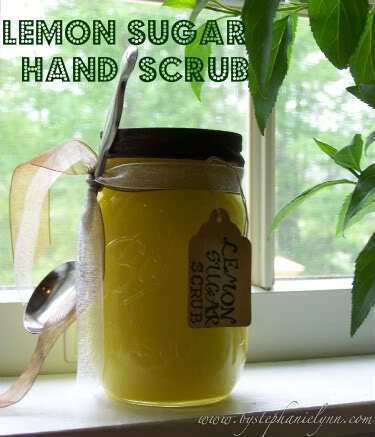 ~This Lemon-Sugar Hand Scrub looks good enough to eat. Except I won't. I think. 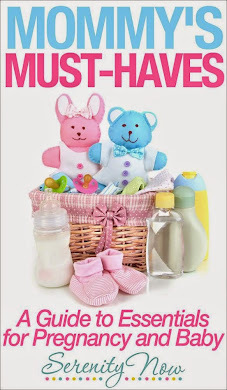 ~The Bon Bon Rose Girls had a nice Mother's Day Shopping List that you can follow. ~And, of course, you can check out any of the links from my Dishing It! party. Some posts were funny, some were inspirational, and some poignant. I enjoyed each and every one! Thanks to all of you who linked and ESPECIALLY to those who took the time to visit the other participants. I do notice, and I appreciate it! The girls and I are going to a crazy fantabulous church yard sale this morning. I pray we get there early enough to find a parking spot. It's a jungle out there, people! As for Mother's Day...I don't know. T is working, so it will be a regular Sunday for us. We'll do church and probably go to lunch with my brother (his wife is out of town) and Mimi. I may be receiving a very unconventional Mother's Day gift this year. If that's the case, I'll be sure to post about it next week sometime! I'm excited. Thanks for the great projects to check out!! Sorry I didn't get to take part in Dishing It! this month-my husband was working out of the house on Wed/Thurs so my computer time was non existent during nap time! Thank you for mentioning my Mother's Day brooch! I hope you have a fantastic weekend!! I loved all of those Amanda. So fun to see them. I'm so sad I missed your dishing it party -- this has been the craziest week. Hopefully things will calm down a little and I can get around next week. I could definitely use some of that sugar scrub!!! And CUTE card! Thank you so much for the linky love, Amanda! I appreciate it very much. I get to have a picnic at Duke Gardens will all of my favorite boys tomorrow. My college freshman is about to be a sophomore! How on earth could that be? Hope you and the girls have a wonderful time tomorrow. An unconventional gift? Hmmmm. . . . Happy Mother's Day! Enjoy your day! I agree with you on the lemon sugar scrub, it does look good enough to eat. I always enjoy your weekly features. Thank you so much for the link love lady and for including us with such great company. I hope you had a fabulous mother's day!